SSD 240GB SATA3. Ram 12 GB - Tipo: DDR4 - Massima supportata: 16 GB. Sistema Operativo WINDOWS 10 PRO 64BIT ITA. Card Reader SD. Porte e Connettività Wireless: WiFi 802.11n (a/c) - Bluetooth: V 4.1 - LAN: 10/100/1000 Mbits. SSD 512GB SATA3. Ram 16 GB - Tipo: DDR4 - Massima supportata: 16 GB. Sistema Operativo WINDOWS 10 PRO 64BIT ITA. Card Reader SD. Porte e Connettività Wireless: WiFi 802.11n (a/c) - Bluetooth: V 4.1 - LAN: 10/100/1000 Mbits. Anche in contrassegno! Garanzia 12 mesi! PC PORTATILE DELL LATITUDE E6430. DISCO SSD 250GB. RAM 16GB DDR3-SDRAM. 1 X HDMI (Video). PC PRONTO ALL'USO. Microsoft Windows 10 Professional 64BIT. Sistema Operativo. 1 X Connettore Docking Station. 2 Batterie! Garanzia 12 mesi, anche in contrassegno! *GRADO B* Garanzia 12 mesi, anche in contrassegno! Notebook HP Elitebook 840 G2 14" Led i7 RAM 16GB HD 100GB WiFi Webcam Win10. La condizione Ricondizionato dal produttore. E' stato dotato di un nuovo e più performante HD da 1TB SSD (di cui verrà inviata scatola originale). Hard Disk - SSD 500Gb GB nuovo. Processore - AMD A8 Pro-7150B quad core. Display - 14" 1600x900. Porte e slot - VGA - Display Port - LAN - 4x USB 3.0 - SD Card. Sistema Operativo - Windows 10 Pro licenziato. Alienware 13 R2. Notebook: Alienware 13 R2. A LIENWARE 13 R2 GAMING NOTEBOOK. Scheda grafica: NVIDIA GeForce GTX 960M 2048 MB. Ram: 16 GB DDR3. 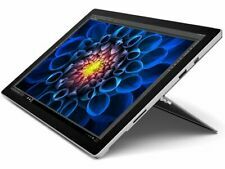 Acer asus swift3 hp lenovo no tablet samsung huawei 2GB E5 no i5 elitebook netbook vivobook ultraslim 15 pollici 17 ddr4 ddr5 office a10 a12 ryzen5 ryzen7 ryzen 5 7. RAM 8GB FSB dual channel ESPANDIBILI fino a 16GB. Notebook Lenovo Ideapad 500-15ISK. La condizione Usato. Prodotto perfetto! Fatturabile - Spedizione con DHL! RAM MASSIMA SUPPORTATA16 GB. SISTEMA OPERATIVOWINDOWS 10 PRO. HP RECOVERY MANAGERSi. HP TOUCHPOINT MANAGERSi. HP SUPPORT ASSISTANTSi. HP EPRINTSi. PROCESSORE GRAFICO INTEGRATOAMD Radeon R2. FREQUENZA DEL PROCESSORE TURBO MASSIMA2 GHz. Lenovo ThinkPad W520. Nvidia Quadro 1000M 2Gb. RAM 16Gb DDR3. S.O. installato: Windows 10. 1x Uscita Display Port. A Batteria (in ore). b, 802.11. g, 802.11. Tipo wireless. NVIDIA GeForce GTX 1050. Coprocessore grafico. 41,8 x 25,5 x 3 cm. Frequenza del processore: 2,16 GHz. RAM installata: 4 GB. Usato Ricondizionato - GRADO B - Leggeri graffi. Scheda Grafica: Scheda Grafica Integrata. ACER ASPIRE 4810TG. Notebook Asus F200m Celeron N2830 2,16Ghz RAM 4Gb, HD 500 Gb. Usato ma in ottime condizioni Il notebook è leggerissimo e comodo da portare in giro. NO PREZZO DI RISERVA PARTENZA DA 1€ Qui il link al sito ufficiale: https://www.asus.com/it/Laptops/F200MA/ NO INTERNATIONAL SHIPMENT!!!! NOTEBOOK MSI MS-16G7. PORTE USB, WIFI, LAN, USCITA VIDEO VGA ,HDMI. BATTERIA CON AUTONOMIA. PC TENUTO BENE. VGA dedicata Radeon 530. Tipo processore Core i7. Coprocessore grafico AMD. Tipo di connettività 801_11_AC. zenbook rog thinkpad msi surface xiaomi. blade strix computer netbook office legion. CPU a 4 CORE. Ram: 16 GB DDR4 "un solo slot occupato con modulo da 16 GB, altro slot libeto ed espandibile fino a 32 GB". Schermo: 14.0 pollici 1920x1080 Touch Screen. 1 Thunderbolt. Mini Display Port. Ein kleines Stück Gehäuse an der vorderen rechten Ecke ist leider bei einem Sturz abgesplittert (max. 5x7 mm, siehe Fotos). Tierfreier Nichtraucherhaushalt. DieTastatur hat dasEnglische Layout (in UK gekauft) - ich lege Aufkleber bei für einen einfachen Fix (siehe Foto). 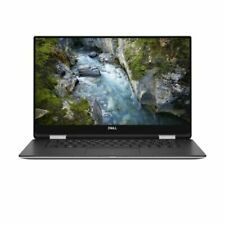 Dell latitude Ultrabook E7440 with 16GB RAM, 256GB SSD, Core i7-4600U vPro Processor. Complete fresh install of windows 10 Pro. Dell latitude Ultrabook E7450 with 16GB RAM, 256GB SSD, Core i7-5600U vPro Processor. The laptop is in a very good overall condition, has been previously used but reset ready for its new user. There are the usual minor signs of wear to the keyboard and lid, but nothing majorly noticeable. I replaced the standard i5 with a 3610qm (a quad core), which has improved the performance dramatically. (I also used decent thermal paste). For sale is my much loved T430. It is in good condition. 2 x 8GB SODIMM DDR3L - 1600mhz PC3L-12800s - 204 PIN - 1,35v -. SPEDITE IN BLISTER DI PLASTICA PROTETTIVA! S PEDIZIONE. Storage (SSD): 256GB. 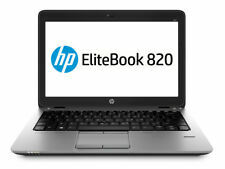 For sale is HP EliteBook 820 G2. Laptop is in perfect working condition. Ports: 3 x USB 3.0, DisplayPort, VGA, audio combo jack, card reader, RJ 45. Bak-lit UK Keyboard. HP Probook 6560b - i5 M2520 - 2.50Ghz-320gb - 4gb - 15.6" HD LED DVDRW - w10, Office 2016, bello. 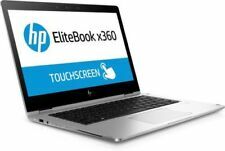 HP Probook 6560b - Scheda tecnica - Le caratteristiche esatte sono quelle del titolo -. Velocità scrittura DVD 8x (DVD±R), 6x (DVD±R DL). GeForce GTX 970M. Samsung 250GB SSD. I have erased the Samsung 840 EVO SSD and updated jt to the latest firmware, then installed Windows 10 fresh, with latest drivers from MSI’s website. MSI MS-16H7 Gaming Laptop. Asus C100P. With automatic updates you’ll always have the latest software. Built-in virus protection is ready to protect you against viruses and malware. So you can take this notebook anywhere. And be ready for anything. Dell Precision M4600. 16GB , 4x 4 GB PC3-12800, max. Dell TS-U633. Webcam: 2.1 MP. Microsoft Windows 10 Pro 64 Bit. Sistema Operativo. 97 Wh ioni di litio, 11.1V. altezza x larghezza x profondità (in mm): 37 x 376 x 256. Possiede una tastiera retroilluminata con layout tedesco, ma con la quale e' possibile tramite la combianazione di 2 tasti, digitare lettere accentate italiane. Viene venduto compreso di scatola originale, caricabatterie e cassa subwoofer inclusa con il pc. 16GB DDR3 Corsair Vengeance 1600Mhz (2 x 8GB). Great for gaming or playing Blu-rays. Yellow wrap applied to the top of the laptop. Laptop has scruffs, dents, rubber feet and screws missing, that are reflective of it's age, but nothing that effects the use of the machine. Toshiba Portege Z30-C-138 (LTE). RAM 16Gb DDR3. E' POSSIBILE IL RITIRO IN ZONA. SISTEMA OPERATIVO WINDOWS 10. Tastiera ITA. Lenovo B50-30 80es N2840 2.16 ghz updated to 8gb ram. Condition is very good. Apart from that laptop in good used condition. 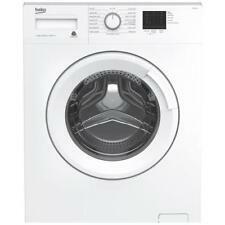 Good refurbished condition. Windows 10 - 64 bit. WE HAVE MANY. 1TB PCIe Solid State Drive. Windows 10 Pro (64bit) English. 45 Watt AC Adapter. Possibile collegarlo a monitor o tv 4K tramite HDMI, in modo da rendere la TV una smart TV. Arbeitsspeicher 16 GB. Arbeitsspeicher max. 16 GB Cardreader SD, SIM. Festplatte 512 GB SSD. weitere Festplatte n/a. Modell: Thinkpad X1 Carbon. Dockinganschluss Onelink. Touchfunktion n/a. 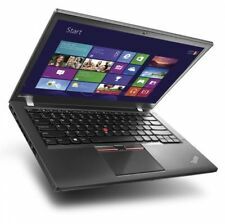 Lenovo Thinkpad T440p Core i5-4300M 2.60GHz 16GB RAM 500GB HDD Webcam Laptop. Condition is Used. bluetooth finger print scanner no dvd/cd driver comes with lenovo round pin charger with a connector at front. Dispatched with eBay delivery – Shutl 1 day. HP Stream 11-d060sa 11.6" (32GB, Intel Celeron, 2.16GHz, 2GB) Notebook/Laptop. Processor Type Celeron. With industry-leading processors, you never worry about having enough power. Screen Resolution HP Stream 11-D062SA. This is a wee belter of a laptop. So this has sat unused for a while.